Dear Tony. Having just returned from another of your amazing tours, I wanted to write and say a big ‘thank you’. We both felt that your attention to detail – not just historical but also administrative – was exemplary. On your trips we always know exactly what is going to happen and when. Having said that, we also very much appreciate your flexibility and willingness to make small detours and visit extra sites (e.g visiting London Scottish memorial in behalf of my son on a previous trip). Your good humoured, interesting, well researched and accurate explanations encourage further reading and study and you always manage to ‘pitch’ the humour and educational input appropriately for the group with which you are working. 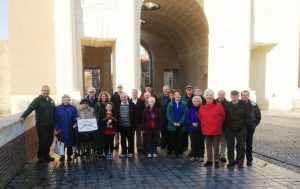 Our trips with you have been mainly focussed on the First World War activities in the Ypres and Somme areas and you have afforded some fascinating insights into the history of the region with just the right combination of respect, solemnity, sadness and humour. Indeed, you seem to reflect the attitudes, experiences and personal thought processes of the people who lived through that dreadful time, reminding us that, in circumstances of extreme stress, personal loss and danger, humour is often an essential mental ‘safety valve’ rather than indicating any lack of respect for the fallen who sacrificed so much for us. Our second trip with Tony Eden from Rifleman Tours and I very much look forward to my third trip hopefully next year. 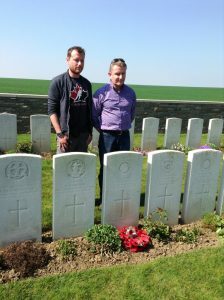 In 2017, my eldest son and I travelled with Rifleman Tours on their Immortal Salient tour. It was such a special experience that I just had to take my partner and youngest along as well. However, as my partner works in a school, term time holidays are not possible. Add to that the eldest being at University now, it looked like my wish of the four of us touring Ypres with Tony as our guide was going to be thwarted. The answer was a private tour. Tony came up with a date that suited us perfectly, although I am not sure it suited Tony that much. Back from the Somme late at night and off to Ypres with my lot the next morning. If he was tired, he certainly did not show it and the tour started off in fine fashion with a visit to three VC graves while on the way to Ypres. The tour was pitched perfectly. My partner had visited Ypres when her choir sung at the Menin gate, but knew little about what actually happened in the 50 months the armies of the British Empire stood in Ypres. Tony explained everything perfectly. Both teens loved it and said how much they enjoyed it. We have just enjoyed a fascinating trip to Flanders and NE France which was organised with Rifleman Tours, retracing my wife Linda and brother in law John’s (60th birthday present) Grandfather’s steps in WW1. We especially wanted to visit the Hohenzollern Redoubt where Linda and John’s Grandfather was injured and six of his friends were killed all from the 1st/4th Lincolnshire Regiment. We can’t thank Tony enough for his excellent WW1 knowledge and for his research into where Linda and John’s Grandfather had fought. Tony had arranged for us to stay in the Albion Hotel in Ieper/Ypres with the city wall and is only a few minutes walk to the Cloth Hall and the Menin Gate. The family run hotel was very friendly and extremely comfortable. An excellent breakfast was included. Tony was both professional, friendly and knowledgeable. 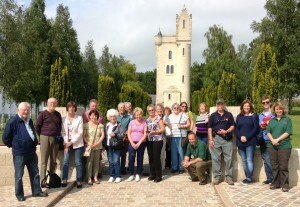 We wouldn’t hesitate to recommend Rifleman Tours for an informative and well organised tour of the battlefields. The four of us, John, Linda, Ralph and Maureen, thank you Tony for an excellent trip. Such a wonderful three days. We visited so many Memorials and Cemeteries with complete history of battles fought and soldiers honoured. Hotel was wonderful with all decor based on Flanders Fields. Thank you Tony for sharing all your knowledge of the history of the Ypres battles and for taking me to my Grandfathers grave. Thank you Alison for taking care of us and finally thank you Liv for making sure no one was left behind. Good Luck Tony in all your future tours I am sure everyone will enjoy them as much as I did. My friend and I returned from a four day battlefield tour ‘From the Ypres Salient to the Crucible of the Somme’ with Rifleman Tours on the 30 April 2018. If you are considering a Battlefield tour I have no hesitation in recommending Rifleman Tours. They provided a personal service from start to finish and the level of service could not be higher. This trip was a personal pilgrimage so that I could visit the graves of my two great uncles. One fought in the battle of the Somme and the other in the battle of Passchendaele during the First World War. The prescriptive itinerary of other battlefield tour operators would not have allowed me to visit the individual graves of my two great uncles and a coach of 50+ people did not appeal to me. Finding Rifleman Tours was a breath of fresh air and felt the right choice from the start. What a professional and personal service. We live in the North of England and Rifleman Tours suggested staying overnight at the Holiday Inn Express Milton Keynes for one night either side of our tour. This proved to be ideal. No hesitation in recommending this hotel. Rifleman Tours are a family run business run by husband and wife Tony and Alison Eden. Tony was our driver, tour manager and guide for the four day trip and picked us up promptly at our hotel in Milton Keynes on the Friday morning. We travelled in a ‘people carrier’ with two other guests via the Eurotunnel to the Albion Hotel in Ypres. A lovely family run hotel offering very clean and comfortable accommodation and a continental breakfast. The reception staff were so pleasant and helpful and deserve due recognition. 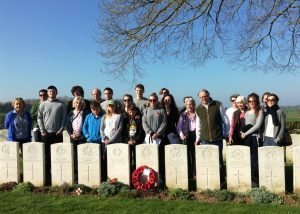 This was our first tour of the battlefields and what a personal, friendly and relaxed tour we were about to experience. Our battlefield tour had a flexible itinerary and I can only describe the tour as ‘tailor made’. We saw so much in four days. Please have a look at the company’s website for full details of their various battlefield tours. Tony has a passion for military history and his knowledge and anecdotes made the facts come alive. He had the ability to ‘set the scene’ as the tour progressed. In addition to the various campaigns we heard of individual bravery and suffering, Victoria Crosses awarded, the sons of politicians, the graves of aristocrats, under age soldiers, personal accounts of British soldiers and the many poets who wrote war time poems. The number of dead, the number of casualties and the number of cemeteries is overwhelming. I appreciated the personal touches and the courteous and sensitive way the visits to the graves of my uncles were carried out. Tony was so kind, he spoke the words of the Exhortation at the two grave sides. A very moving experience. A huge ‘thank you’ Tony. My great uncles were two of thirteen children and I think the family who loved them dearly would have found some peace in the knowledge that their loved ones had been cared for in such a respectful way for 100+ years. We valued the fact that Tony took extra time to visit more sights than originally planned so that we could gain the most out of the four day trip and that he offered to do further investigations on our return to the UK. We will certainly remember the trip for a long time. The emotion, the tears, the fun and the laughter. A perfect and timely balance of sensitivity and humour. Thank you so much for a brilliant tour. We wish you continued success. I visited the Taste of Flanders tour with my son-in-law and grandson. A very informative and well organised experience, including personal information reference, the location of grave and supporting details about my uncle. Congratulations to Tony and his wife. Just a quick note to say thank you for the recent tour. Catherine and I had an amazing tour with you and your family. We also made some very good friends during the tour. Your knowledge of the battlefields and the individual personalities was first class but more important was your obvious passion and empathy in relation to the men and women who fought and died in the war. A very enjoyable trip for myself and my Dad. We both enjoyed it thoroughly, the base of Ypres was terrific and is a place that I definitely plan on visiting again in the next few years. Tony’s knowledge of the battlefields and the background information was almost encyclopaedic and added immensely to the experience. The organisation of the trip was excellent and the sites visited were interesting as well as thought provoking, this, added to the ambiance of the group as whole and the humour made it very enjoyable. The trip was excellent and I would have no hesitation in recommending Rifleman Tours to anybody interested in battlefield tours. I booked this tour as my husband was going to be 50 and he had a Great Uncle that was buried at Ypres Reservoir Cemetery so I thought it would be a lovely surprise to visit it. Our guide (Tony) for the weekend couldn’t have been anymore accommodating if we’d asked. Unfortunately a family had withdrawn from the tour, but fortunately for us meant we had our very own guide. No matter what was asked Tony would take us there and immediately inform us of all that had happened in that area (a very knowledgeable man and definitely knows his stuff). He took us to places relevant to the tour that I’d booked and more, and nothing seemed too much trouble. He also gave us time to ourselves to explore the town on our own and we watched the ceremony at The Menin Gate (which was very moving). Not one to really have much interest in the subject matter, other than a family member being buried there I thoroughly enjoyed the weekend and was absolutely fascinated with everything I found out – and needless to say my husband was very much overwhelmed with the weekend himself. We were very fortunate with the weather (5-6 Aug) – there was walking involved but it wasn’t long haul treks anywhere. Overall I could not fault this trip and would definitely recommend this to anyone VERY INTERESTING!! Dear Tony and Allison, thank you for a first rate trip. You both put so much detail into informing, guiding and nourishing us. It was good to be part of a keen little family of history wallahs and rememberers. A visit never to be forgotten. Thanks for the photo, Tony. We look a very happy crew, well lubricated. Have never had free brandy like that! We entered the national ballot for tickets to the third battle of Ypres Commemoration Service held on 31st July 2017 at Tyne Cot Cemetery. Having researched a suitable tour to cover the event we chose Rifleman Tours for several reasons the main one having a hotel in the centre of Ypres and not one by the airport or an industrial area outside the town. We were lucky with the ballot and even more fortunate to have chosen Rifleman Tours. 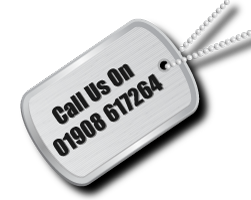 They are an excellent company that we would recommend if you are considering any battlefield tours in the future. Tony and his wife Allison made a perfect team for the tour. The information pack for the tour is very well presented and Tony’s knowledge of WW1 was amazing, not only the battles but the political, social and geographical background. He delivers his presentations with skill and with a depth of knowledge that makes them very interesting. The coach was very comfortable and we had an outstanding driver who was able to meet our itinerary with smooth and steady progress. The hotel was family run, friendly with good sized very clean rooms. Continental breakfast was excellent with a wide range of food and drinks, a very good start for the day. As Elizabeth’s father fought and was wounded in the third battle of Ypres the tour was even more poignant for us. All in all a great success and we are grateful to Tony and Allison for their hard work and consideration. Dear Tony and Allison, thank you for such an enjoyable trip. Thank you also for taking the extra effort of going down to Tower Hamlets and Lewis House. It was very much appreciated. A very big thank you for a very interesting tour to Ypres. You have an in depth knowledge that you use to great effect to bring the battlefield to light. Along with the convert and the anniversary at Tyne Cot, it all added up to a truly memorable trip. Tony and Allison, thank you for an unforgettable experience and your attention to detail was amazing. As you know Great Uncle Albert was killed on the first day of Passchendaele and it was like going to his funeral 100 years after the event when we were at Tyne Cot for the commemorative service. Just back from a fantastic tour of the Somme with Rifleman Tours and we can’t thank Tony enough. From the lovely hotel in Arras we had plenty of time to sample the local bars and restaurants. We visited so many sites in such a short time but were never hurried. Tony Eden’s expert knowledge coupled with his passion and enthusiasm really brought the battlefield to life. It was wonderful to see the famous Menin Gate Lions (normally located in Australia), and Thiepval but the highlight for me was Vimy Ridge. Do the Canadians make anything other than hugely impressive memorials? It was a truly inspirational and very informative tour. This was our second tour with Rifleman and I cannot recommend them enough. Tony isn’t just a great tour guide he is great company as well. A first class tour all the way and we will definatley be looking to book another tour with Rifleman in the future. Many thanks Tony, we wish you and all the gang at Rifleman all the best for the rest of the year. I am not sure I make too many decent decisions in life, but without doubt one of my better choices in recent years was to use Rifleman Tours to take my son and I to the Ypres Salient. Tony Eden is a master at his craft. What this guy does not know about the Ypres Salient, is I suspect not worth knowing. He really was first rate and was able to answer any question that was thrown at him. My particular interest was visiting the graves of Victoria Cross holders. Tony was able to accommodate this and alter the tour to enable me to pay my respects to the bravest of fallen. I cannot thank him enough and this alone justifies my decision to use Rifleman Tours. Tony picked us up from our hotel in Milton Keynes and drove us to a wonderful hotel, right in the heart of Ieper (Ypres). The next day after a fine breakfast, we started on our tour. Lunch was provided and Tony kept us supplied with drinks during the day. He even offered me a Brandy!! How is that for customer service? I really cannot think of any downsides to using Rifleman Tours and I plan to again soon. My thanks to you Tony, you made two people very happy. Hello Tony, this is to say a massive thank you to you for the unforgettable few days at Arras – as you say, never enough time to see it all and I would love to go back sometime. You had done so much research to find out the details about Uncle Tom and everyone was really appreciative. We can’t have been the easiest group to take – the age range was from 11 to 89 – you did a brilliant job! We had such a good few days, wonderful weather and your organisation was meticulous. Please thank Les as well for his skilful driving, I was in awe about how he managed to manoeuvre that enormous bus down all those tiny lanes. It all feels very flat now that it is over, we had been looking forward to it for such a long time and it was very special to be there on the actual anniversary of his death. I did find it very moving seeing Frederick Bates’ grave and finding out about his story – it is very hard to comprehend the massive loss of lives and then heartbreaking to see how little ground was made and then lost and then made again. Many many thanks to you and Allison and Olivia. I hope you all have a lovely Easter and good luck with the rest of your tours this year. We had a very special trip. Dear Tony, I just wanted to write and thank you for making our tour of the battlefields so special. You were a wonderful guide and full of knowledge and I think every one of us came away with a feeling of what we owe all those thousands of soldiers who gave their lives and suffered terrible hardships to give us our freedom. Please thank Les too for his expert driving. I always felt very safe in our bus and full of admiration of how he manoeuvred it round corners! Hello Tony, Just writing to thank yourself Alison, Les and Olivia for a marvellous weekend. Your knowledge and passion for military history made this tour truly rememberable, and I certainly learnt a lot from the three days together. It surpassed all our expectations, the nice little touches like your reading at my Great Uncle’s grave,and the last post being magically played moved us all. Also the information that you printed off for me, and the Battalion war diaries were a nice personal touch. That along with the fantastic weather, a great hotel and refreshments and picnic laid on by Alison made it a perfect battlefield tour. Once again many thanks to you all, and we look forward to doing more tours with you in the future. Having been tasked to organise a Leadership and Planning weekend for my Company I immediately thought of a Battlefield tour. Having taken part in a few previously, I had a brief understanding of how this could achieve the Company’s aims in a truly engaging environment. After the initial gathering of information and quotes I decided to use the services at Rifleman Tours and was not disappointed. Throughout Tony was unbelievably helpful, totally professional and coupled with his attention to detail and exceptional knowledge meant that the Battlefield study was easy to plan and execute. During the Study the way in which Tony sets the scene, engages the audience in an unprecedented manner and this in turn allowed the study to flow seamlessly. We have been to Ypres many times but this was the first time we have been there on Armistice service. We decided to go with Rifleman Tours because we were very impressed with our trip to Dunkirk in June 2015. The 11th of the 11th is a day we will never forget, Tony and Allison are so organised, we were in a great position at the Menin Gate to see everything. The pipers, the bands, the last post, the falling poppies it was quite something, a wonderful moving tribute to the fallen. Over the next two days Tony and Allison took us to the battlefield, we had many stops where Tony gave us the stories of the VCs, sons of politicians, under age soldiers, poets, aristocrats and many accounts of bravery and suffering. We were very impressed with how Tony was able to give us so much information about how the front line changed and the actions around each major battle. We thought the trip would be good but it surpassed that, it was great. Thank you Tony and Allie for a very special and sentimental Armistice trip to Ypres. This is the first time I have travelled with Rifleman Tours but it will certainly NOT be the last. I discovered Rifleman Tours purely by chance while doing some WW1 research and what a find! I have travelled to the WW1 Battlefields many, many times but Rifleman Tours are by far the best I have ever done. The bonus of a lovely hotel in the centre of Ypres added to a wonderful trip. Tony’s knowledge and information is excellent and even in such a short time we visited sites I had never seen before and stories of some those who gave their lives were heartbreaking but so well researched and told. Allie was a marvel at keeping us supplied with hot drinks and nibbles (not forgetting the regular ‘wee dram’ offered) on what was a bitterly cold Saturday. I am a single traveller but the warmth and friendship of the group immediately made me feel welcome. I have already decided on next year’s Rifleman Tour and intend it will be one of many in the future. Thank you Tony and Allie. To visit the memorials, battlefields and pay homage and learn of the great sacrifice made I recommend that you book with Rifleman Tours especially if you have never been before or travelling alone. I have been on four tours and just returned from Armistice 2016, it was a memorable experience. The journey is well organised and hotel accommodation is ideal for visiting surrounding areas. Information packs are provided to a very high standard. The groups are always friendly and no one is left to wander about or dine on their own good friends are made. Having done many of these living history tours in Belgium and France it was a joy to find Rifleman Tours who provide such excellent trips. I would just like to congratulate and thank Tony and Allison Eden of Rifleman Tours for one of the most enjoyable four day tours I have ever been on. From standing under The Menin Gate on Remembrance Day with a splendid WW1 concert in the evening to the guided tours around battlefields and CWGC cemeteries the next day. With a unique combination of humour and emotional stories all expertly wrapped up to make an unforgettable journey. Going back over a hundred years in time around Ypres Salient, the tour was fantastic. So much better than the larger tour operators in this field, Rifleman Tours offered a personal touch, with a smaller group and a constant supply of free tea, coffee and biscuits to help us through a rather few chilly days. Also what was nice was being called by your own name rather than being herded around like cattle. I would strongly recommend Rifleman Tours to anyone who has a taste for WW1 and WW2 history. All perfectly explained by Tony, with his vast and superior knowledge of the two world wars. Well done Tony and Allison, can’t wait for next year’s tour. This is the 5th tour I have experienced with Rifleman Tours and I never fail to be impressed by the amount of detail and careful planning that the husband and wife team of Alison and Tony Eden prepare. All of the tours that I have been on have been enjoyable because of the friendly manner of the Edens and the small groups of like-minded fellow travellers have all made the trips memorable . Everyone is always friendly and whether you travel alone or with friends or family makes no difference. You learn a lot of interesting facts as well. Five Star treatment! 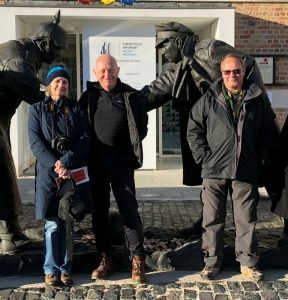 Dear Tony and Alison, a rather belated note to say a huge thank you to you two, and to the amazing Les, for giving us such an interesting and informative visit to the Somme 100th anniversary. The organisation was spot on – timings, hotel and visits to the sites all worked perfectly. Our second trip with Rifleman Tours and, just like the first, Ypres and the Crucible of the Somme, this one was of the same high standard. Tony briefed us the evening before with maps showing the disposition of both sides and the difficult position the UK forces found themselves in. He explained the enemy strategy and the events that led to the evacuation itself. On the ground over the following two days he took us to all the important sites following the retreat and rearguard actions with detailed explanations of individual heroic actions. We were also able to visit the two sites of massacres of British troops concerning the Royal Norfolks at Le Paradis and members of the 2nd Royal Worcester, the 4th Cheshires and Royal Artillery at Wormhoult, it was a truly moving experience. Tony is a perfect host and guide with extensive knowledge and we learnt a great deal. We can thoroughly recommend Rifleman Tours. Dear Tony, just a note to thank you for the recent Armistice Tour. I greatly appreciate the work that you and Allison put into these little excursions making it possible for someone like me (who would probably never mount something like that off his own bat) to enjoy a valuable experience. If you have anything interesting coming up in ’16 please keep me informed. 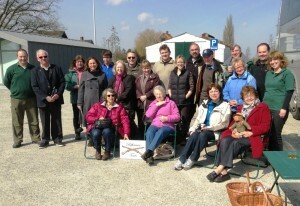 Many thanks to both Tony and Allison for a truly memorable tour last week for Armistice in Ypres. We thoroughly enjoyed the trip. It was extremely informative, fascinating whilst thought-provoking and at times very sad. I will remember the trip for a long time. Also a special thanks to the rest of the group that made it so much fun. Dear Tony & Allison, thank you for a brilliant four day experience exploring the catastrophe of the Great War. Your comprehensive knowledge and anecdotes really made it come alive for us at every site we visited. It was both an educational and very emotional trip for us as we imagined the sheer hell it must have been for all combatants. We were especially grateful for you making a special detour such that Mary could see the site of Korketeer Cabaret where her Great Grandfather was lost in October 1914. I also now understand much better what my Grandfather faced on his excursions into Polygon Wood that same month and year. The Albion Hotel was a great place to stay, comfortable, spacious rooms and so close to the main square and Menin Gate. Thanks too to Les for his safe driving in some tight places at times and not forgetting your daughter Olivia for keeping us all accounted for every time we got back on the bus. Tony, on behalf of the Association, may I thank you both for yet another fantastic tour this year, we had a branch meeting last night and we were all raving about it to those who did not attend. We thoroughly enjoyed each day and at each location your depth of knowledge on the events and its participants were second to none, you were able to explain the significance of the location and its events to us all clearly so that even the non-military amongst us were able to easily understand and were able to vividly re-enact the events in our own minds. We would highly recommend Rifleman Tours to anyone considering a battlefield tour having now been on two and are looking forward to booking a third next year. Finally, I’m sure you will as a matter of course, but send me details of next years tours once confirmed and we’ll contact you asap to make the booking. Hello Tony and Alison, I am writing on behalf of David, Kathleen and myself to thank you so much for our trip to Ypres. You took such care of us all and it was an experience not to be missed. Thank you also for stopping at Abeele Cemetery for Kathleen, you made an old lady very happy!! Dear Tony and Allison, Yet again we have to thank you for an amazing few days, Robin has been interested in all things Waterloo for many years and he really enjoyed seeing the places he has read so many books about. And it even got me interested in the history changing event, you never cease to amaze with your knowledge and how every little detail is covered. Not only was the tour educational, but we had a lot of fun and laughed a lot thanks to our fellow travellers.. And our visits to the Waterloo brewery were VERY educational. Thank you so much for making this weekend possible for us and we hope to see you on another tour next year, hopefully one Allison is on as well… You knock Leger out of the ball park Tony.. Many thanks for a very informative tour of the Waterloo battlefield. Without doubt your expertise and knowledge of the fore mentioned battle made the visit a very memorable occasion of which was enjoyed by all especially the old guard at the rear. I would have no hesitation in recommending your tour company to prospective clients. Please keep me informed of any forthcoming tours and perhaps our paths will cross again (we will give you a rest for a while). Dear Tony, now we have recovered from a very hot busy few days, I have to thank you so much for allowing me to visit my Great Uncle’s last resting place. I was just blown away by the beautiful place he lays and I think those who loved him would have found some peace from knowing he has been cared for in such a respectful way. I was surprised just how emotional it was for me and you treated the event with such respect for which I am very grateful. Your knowledge opened up the whole history of that awful period, and we saw places and heard things we would not have on a larger tour. People keep asking did I enjoy it, wrong word. It was emotional, educational and eye opening, but we did enjoy the company on the bus and they were kind enough to include us in everything they did so it made the whole trip a good experience and one I would wholeheartedly recommend even without the personal side I had. Tony, I would like to thank you for the wonderful experience that you provided for both Annie and myself at the end of August when you took us through the Battlefields of Northern France and Belgium. 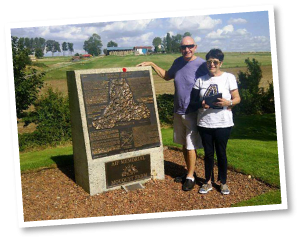 When I booked the tour with you I asked if you could include some locations that I was very interested in because of the fact that both of my Grandfathers had served in the Australian Forces on the Somme and other areas. You were only too happy to include these locations, thank you. Whilst I was excited and looking forward to the tour, I didn’t really know what to expect. I did think that it was going to be good, however, I must say that it was better than that, it was excellent. Your attention to detail in explaining particular battles and incidents made me wish that I had recorded the whole adventure. When you discussed certain battles and pointed out important or historical locations it was very easy to follow and helped me to understand, even if only a small amount, and certainly not taking for granted, what actually occurred. I will be forever grateful for your help to, in part, having retraced the steps of my Grandfathers as they served their country in the Great War. Tony, I would not hesitate to recommend your services. Hello Tony, Thanks again for another very special experience – Dunkirk ‘Operation Dynamo’ Tour, May 2015. Staying in Ypres for two nights allowed Malc, Mandy, Paul and myself to attend the Menin Gate ceremony on both Friday and Saturday. Always special even if three of us witnessed it last year for the first time on the “Taster” tour. Doing Dunkirk on the Sunday and seeing all those beaches, mostly completely deserted, but with the rain beating down and the wind so strong I was thinking of those dark days in May and June 1940. As you said, thank god that the weather was so much better in 1940 than in 2015 and the Channel waters quite calm. Otherwise the evacuation operation would have ended very differently. The sites of the two SS atrocities where they executed surrendered British soldiers also made a big impression on me. I know we all enjoyed the tour and hope we can do another one with you very soon. I appreciate all the personal touches and, indeed, all the hard work you must put in. This was our second tour with Rifleman Tours; Ypres last year for WW1 and this time ‘Dunkirk to D-Day’. We would like to congratulate you, Tony, on yet another informative, relaxed and enjoyable tour. You always achieve exactly the right balance between meeting the wishes of the group whilst at the same time covering all the areas which you feel are important. Your knowledge, and the way you deliver it, together with your research and your attention to detail, are all second to none. The personal stories you told us once again made history come alive in a very accessible manner and made all the difference to learning about the events we covered during the tour. The accommodation you recommended was of very high quality – an important factor after a long day out – and our coach was comfortable, well-appointed and very well driven by James. The ‘goodie basket’ was also much appreciated again this year! We look forward to planning our third tour with you for next year and will highly recommend you to anyone we know who is looking to take a Battlefield Tour. Thank you – from us all. We cannot thank you enough for the superb trip to Belgium. From picking us up at Ashford station to dropping us off again, you gave us top class customer service (and that’s saying something coming from two grumpy old Yorkshire farmers!!!). The trip was a long time in the planning, but we know we picked the right man for the job and we could never have planned such a comprehensive trip ourselves. Your knowledge and attention to detail made the whole trip so personal for us and to actually be the first family members to visit our Great Uncle’s grave was something very special. To be able to take a little piece of the farm and a personal message from the family was a real privilege and an experience to treasure. We feel very lucky and comforted that there is a grave to visit and our Great Uncle has a peaceful resting place. The visit makes you realise that so many were not that lucky. We were all impressed with the sheer commitment and determination of those who coordinated the burials and worked hard to give as many as possible some dignity in death. The Belgian people must also be given great credit for their resilience and determination to rebuild their devasted landscape. Thank you for working so hard on our behalf. It is so much appreciated. We will all have no hesitation in recommending you to others who may feel inspired to join you in going on their own family journey. Wishing you continued success with the business and an excellent year of tours ahead. Dear Tony, on behalf of myself and my family Larraine, Steve and Kathryn, I would just like to thank you so so much for the amazing and fantastic weekend we spent with you in Ypres – Taste of Flanders Tour, April 2015. Your knowledge is incredible and I am sure that everyone on the tour learnt so much and got such a lot out of it. The highlight of our trip was the visit to Sanctuary Wood which you so kindly arranged for us. It meant such a great deal to us, especially Steve. He will never forget seeing his great, great uncle’s grave and the memory will stay with him forever. Thank you for giving him the chance to fulfil his dream. Please also pass on our thanks to Allison, Olivia and Les our driver for all their hard work and effort to make everything run so smoothly. I am so glad I found your website and booked the tour with you. It was really brilliant. Thank you once again. Best wishes to you all. Dear Tony and Allison, just a few words to say many thanks for an amazing tour. 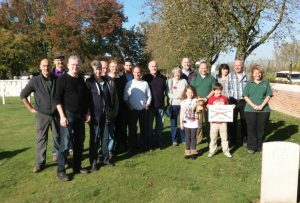 “From the Ypres Salient to the Crucible of the Somme – October 2014”. For me it was a personal and highly emotional journey tracing my great uncle, both at the Menin Gate and the spot where he was killed. Listening to Tony brought to life the battlefields, and his vast knowledge and enthusiasm no amount of reading can convey. I can highly recommend the tour and the tour company to anybody who is thinking of going on a battlefield tour. Both Tony and Allison made the tour personal to me, making a detour en route and encouraging me to lay a wreath at the Menin Gate for my great uncle. The refreshment breaks were greatly appreciated especially the rum and brandy! Many thanks also to Les for driving us around, and to Olivia for keeping a check on us. The trip was a realisation of a dream for my wife and myself. It was an experience that we shall never forget. The only downside of the tour was the end, and saying goodbye to Tony, Allison, Olivia, Les and the rest of the fellow travellers. Thank you so much for my weekend. You know I’ve wanted to go back to Ypres since I first went there 10 years ago. I wasn’t disappointed. Everything was a lot more than I’d expected – including the emotion – and Tony’s knowledge and obvious interest in the subject was brilliant. I learnt so much and particularly liked the anecdotes about various individuals that gave a personal view of all the horrors. It was especially poignant to have several of our group making their own pilgrimages to relatives’ graves and a privilege to be part of the short but powerful ceremonies at various headstones. Several of our group who I talked to were also mightily impressed with the impeccable organisation, knowledge and excellent company and some didn’t believe it when I said there were just the two of you! I’ve been going to the Remembrance Day service at our local war memorial for several years but it will mean a lot more to me now – and I shall definitely not forget. Your Grandad would be so proud of how you’re playing your part to keep the memories alive, Tony. Well I was not sure about what to expect but I have to say it was worth every penny. We were guided by Tony with very good insights into the various battles and stories of individuals when we visited their graves. A nice touch is when relatives of those who fell were able to have an opportunity to visit and place something in their memory. The variety of stops on the 2 day tour along the way let us walk in the shadow of the many heroes who paid the price of many Nationalities . So I recommend the tour to anyone , thank you Tony , Alison , and Les the driver. Thank you so much Tony and Allison for such a wonderful weekend. You enabled My brother Richard and I to be the first family members to visit my Grandfather’s grave since his death in 1918. What a perfect way, you found the grave for us and recited the meaningful words before we laid our wreaths. Thank you so much Alison and Tony for such a great weekend. The tour was really informative and so much detail. Special thanks for the detour to my great uncle’s grave and the recital as I laid a wreath. Fully recommend this tour. Thanks again. Although I have read many books on WW1 actually travelling around the area and seeing the many different cemeteries and memorials was just amazing and very emotional. It brought home to me so much more than reading dry facts in a book the sacrifice that so many made for future generations – something that must never be forgotten. From start to finish the tour was well organised and informative. Tony is an excellent tour guide, his knowledge of and interest in military history is obvious when he talks to you. There were several personal pilgrimages within the group and it was lovely that we were all included in each one and able to pay our respects as a group as well as individually. The packs of personal information given to the people making those pilgrimages was a lovely touch and much appreciated. Nothing was too much trouble and at no time did I ever feel rushed – quite a feat as there was a lot to fit in. I know we all appreciated the refreshment breaks along the way where Allison, ably assisted by our lovely coach driver, Les, provided all manner of hot; cold drinks, cakes, etc. I especially enjoyed the tots of rum; brandy which made a nice addition to my cup of tea! The hotel in Arras was very comfortable and the breakfast delicious and plentiful. Thank you so much Tony and Allison for making my first visit to the Somme such a memorable experience, I will definitely be back. Dear Tony & Allison, since returning from your tour ‘Somme Heroism & Horror’ I have been meaning to write and say thank you. You managed to cater for all those making personal journeys whilst still catering for the needs of all on the trip. The information and organisation along with all the extra touches was brilliant and a great deal was packed into those few days. We both came away with more information than any history lesson and your attention to detail, not just explaining the military side but also highlighting the more personal side with excerpts from people who were there helped it to come alive. I would definitely recommend Rifleman Tours to anyone interested in WW1 &WW2 history. Dear Tony and Alison, having just returned from your three day Rifleman Tour ‘The Somme: Heroism and Horror’, I thought that I must write to thank you. 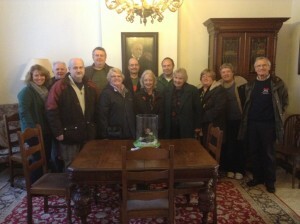 This tour was well organised, the hotel you based us at in Arras was very nice. You provided a nice touch by having refreshment breaks where we gratefully received hot drinks. My primary aim in taking part in this tour was to experience the sort of countryside that my dad fought over with the Machine gun Corps in WW1. What I experienced was certainly this and much more, not only was this trip factual and very informative it was, for me, an emotional experience. It is quite difficult to imagine the extent of the sacrifice made by those involved in this conflict without having been to see the many varied cemeteries, it seemed like one around each corner, some massive with grand memorials and some more simple for those buried where they died. You also managed to make everyone feel included, and paid great attention to the needs of those that had personal pilgrimages to make, showing great respect for the fallen. Thank you again for an experience that will stay with me. Our visit to the Somme was to be an opportunity to learn more about the First World War and also a personal pilgrimage to visit my Great Uncle’s grave. I looked at a few tour companies but I was impressed with Tony’s response to my questions and I now know that I made the right decision in choosing Rifleman Tours for our trip. Tony has a wealth of knowledge about military history and with his stories and anecdotes he makes the tour, not only educational, but entertaining too. Both he and Allison are very professional, considerate and respectful. It would have been awful to be on a tour where the guide read everything from a piece of paper, let you take photos then jump back on the coach (we did see one like that at the Australian cemetery – awful!!). We all received a bound brochure, an itinerary, a bottle of water, extra supplies of tea and coffee for our room and even ‘Peace Babies’ (jelly babies) – a nice touch. Those of us who were visiting graves of family members were also given folders containing extra information. And where would we have been (especially after the rain at Vimy Ridge!!) without Allison and bus driver Les serving tea, coffee and cakes not to mention the tots of whiskey and rum! All in all a great trip – we are already planning the next one!! Just returned from our Rifleman Tour “A Taste of Flanders” with a wealth of knowledge and a greater understanding from this fascinating and well organised event. Tony proved to be an eloquent and learned War Historian making our journey around Ypres an interesting and emotional discovery of those who gave their lives for us. We shall definitely be booking another Rifleman Tour in the near future. My teenage son and I recently went on the Taste of Flanders Tour and we both really enjoyed the trip. It was informative and interesting and we visited many sites over the two days. Tony was extremely knowledgeable and his commentary was relevant for all age groups and helped bring the history alive. We would thoroughly recommend Rifleman Tours. 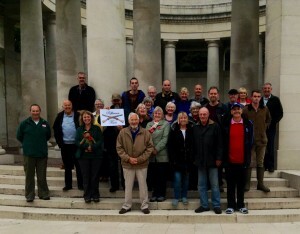 Sincere thanks for that fantastic taster tour for the World War One Battlefields. I know Malcolm and Mandy Kennedy also enjoyed it so much. The moving Last Post Ceremony at the Menin Gate in Ypres was the highlight but it was all a fantastic experience. Even the rain on the Sunday could not spoil it. So glad that you took us to the “Noel Chavasse” Memorial. Hope I get the chance to do another of your tours in the near future. Once again sincere thanks. My wife and I had previously visited Ypres, saw the Menin Gate, walked the Ramparts and visited the Flemish Museum which has a number of digital exhibitions focusing upon the three battles of Ypres. All of these I highly recommend and as result we decided to come back six months later to tour the Ypres Salient battlefields. We chose Rifleman Tours and would happily use them again. The itinerary speaks for itself but it is what our guide Tony provided that added to the experience. The balance between education, fun and at times solemnity is a difficult one to strike and Tony does this admirably. The itinerary is beautifully planned. Day 1 is spent around the battlefield front lines and Day 2 largely concentrates on the medical stations (behind the lines). Tony’s comprehensive knowledge is able to bring the battlefields to life and the contrast between the muddy fields of World War I and what is now peaceful farming land is a marked one. An added bonus was the regular coffee and sweet basket which meant we were able to have stops on the day without disrupting the programme. However the really impressive aspect for me was the sensitive way in which individuals were able to make personal pilgrimages and the sensitivity with which was handled. 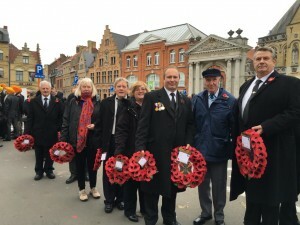 I am not aware that any of my relatives were killed on the Western Front but it is always been one of my ambitions to attend the ceremony at the Menin Gate. As part of our tour I was able to lay a wreath of remembrance at the Saturday night ceremony. This is something I will treasure for the rest of my life. 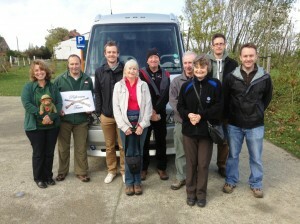 I hope to go to on the Somme trip next year and intend to use Rifleman Tours again. I can provide no higher praise. I would like to take this opportunity to thank you for your time and effort that you put into the tour gave to us. Everything from the warm drinks and snacks on the bus (which were vital for keeping up moral in such brisk weather) to the encyclopedic knowledge of WW1 that Tony displayed was far beyond every expectation. The excitement that previous years displayed when talking about this trip is sure to be repeated when we are talking to next year’s course. From talking to other members of the group I can say that we all found the weekend draining. It was a physical struggle, the days were after all long, but more importantly it was a mental struggle to confront the weight of that much death. As Canadians we learn about WW1 in school but never get to experience the enormous reality of it. We thank you so much for giving us a chance to connect more fully with the history that makes us the country that we are. In particular I would like to thank you for including Beaumont Hammel as one of the stopping points in our journey. From talking to other members of the group I can tell that it made a significant impact even when compared with the magnificence of Vimy Ridge. We all appreciated that you took extra time to visit more sights than were originally planned so that we could receive the most out of the weekend. While most of us did not exactly have the best view of the Menin Gate Ceremony, as it was hard to appreciate a wide scope when standing at attention, but I know it meant a lot to be able to represent our country and lay a memorial wreath. It was a weekend like no other that we have experienced as a course and I would like to thank you once more for the opportunity. Everything from being able to stay in the historic town of Ypres to the battlefields that we visited was an eye opening and moving experience. Thank you again. Few words needed here; great bunch, great tour, great tour company. Thank you for organising such a memorable and marvelous tour made special by everyone being so friendly. Hello Alison and Tony, thank you so much for a most enjoyable trip to Ypres for Armistice it really was a very special time, so glad you thought of us and gave us the opportunity to be able to be included. The whole thing was just perfect: the bands, bagpipes, atmosphere, concert and company. The hotel was very comfortable and warm and also a good breakfast. Tony you done well, we found all the things you were telling us about was excellent it came across very clear and interesting; most impressed you must have worked very hard. Dear Alison you looked after us well with our coffee and biscuits (much appreciated). It was so nice to see you both again and hope it will not be too long before we meet up again. Please keep us informed about tours for next year especially Armistice 2014. Love to you both. The Ypres Armistice Tour in November 2013 was my second trip with Rifleman Tours, and once again it proved to be a memorable journey. The option of taking part in the Poppy Parade on 11/11/13 to lay my wreath in memory of my Grandfather at the Menin Gate was a very special experience. Tony and Allison Eden organised everything flawlessly, and myself and the rest of our group enjoyed their company, and expertise, in battlefield touring immensely. I will be booking with Rifleman Tours for the same trip in 2014 very soon. Kevin Taylor, Kent P.S. I know that Christine also intends writing to you separately. Thank you too for the great privilege of the wreath-laying. Rifleman Tours certainly made my birthday memorable! Dear Tony and Alison, just a quick note to thank you for a very interesting and informative break. I know Kevin really enjoyed it. Thanks too for asking us to take part in the laying of the wreath at the Menin Gate, that was really special. If you have any photos that you can share with us, we would be delighted to receive them. I have already recommended your tour to a work colleague. I do hope the rest of your journey was fine. Thanks once again. On behalf of 16th Signal Regiment and 230 (Malaya) Signal Squadron I would like to thank Tony for his excellent tour of Ypres Salient and of The Somme. From the very first piece of communication to the final farewell in Ypres, Tony’s service was first class. As for the tour, Tony put together a highly polished and professional bespoke package for 40 members of my team, and continued to dazzle them all with the romance of his stories and the passion that he harnesses for military history. Thank you Tony and best wishes for the future. We selected Rifleman Tours because they were the most efficient in responding to us and creating our own tour. My Grandfather was captured at the Battle of Cambrai in 1918 having signed up the year before at the age of 40 ! So we wanted to understand the context of the WW1 and find where he had fought and been captured. Tony picked us up from home and spent the week with us driving round the various battlefields and cemeteries in what was an exceptionally interesting and fascinating tour. We ended up at the Flesquieres Salient where he was captured and had the privilege of seeing one of the tanks used in the Battle of Cambrai which a local hotelier had dug up !! Tony was extremely knowledgeable and at every cemetery he was able to choose one or two graves and explain something about that individual. A really great experience and I thoroughly recommend Tony. I would just like to thank Tony from Rifleman Tours for a great long weekend in Normandy, on a fantastic D-Day tour. Making every port of call interesting and memorable with a vast and superior local and historical knowledge, you surpassed yourself with all the facts and figures, combined with a friendly approach, to prove yet again you are one of the best independent tour operators and guides in the business. Thank you! Dear Tony, I would just like to say how much I enjoyed my 2nd Rifleman’s tour, D Day and the Normandy beaches, from the frankly breath taking landing of gliders at Pegasus bridge and the battle of Merville battery,the sunken concrete caissons at Arromanches testament to great engineering and fore thought, the Longues-sur-mer battery complete with 150mm guns, Brecourt Manor an early action for Richard Winters and members of Easy Co. 506 101st Airborne. The trip was an expertly lead experience of great knowledge with a small group which had marvelous camaraderie, a lovely hotel in Caen which was ideally suited for the beaches.Wreath laying at Bayeux Cemetery and a visit to Dieppe was a nice touch. A special mention must go to our bus driver, well driven that man ! A thoroughly enjoyable trip to the Normandy beaches, battlefields, memorials and cemeterys of the WW2. There were six strangers on the trip who very quickly became friends and we have already organised another trip with Rifleman Tours next June to Ypres/Somme. Tony the tour director and guide made us all very welcome and ensured we were well looked after especially with the coffee and onboard snacks. His knowledge of the area and information of the battlefields he provided was excellent. He will be joining us when we go to Ypres/Somme for our reunion. I would highly recommend this trip to people interested in ww2 history. My personal highlight was to be asked to lay a wreath of Poppies at the English Cemetery at Bayeux. Very many thanks Tony and I will see you at the reunion next year. This was my first trip with Rifleman Tours, but will definitely not be the last. The whole trip was superbly co-ordinated by Tony Eden, who really knows his military history, and brings the battlefields to life with his excellent and informed narrative. Superb value for money, if you want the best trips to discover Britain’s military history, look no further than Rifleman Tours. I cannot speak highly enough about the organisation and running of our recent battlefield tour of the Ypres salient with Rifleman Tours. Tony and Allison went out of their way to ensure that all of their guests were well looked after and got as much as possible from the 3 days. Tony’s enthusiasm is infectious, on our tour he managed to engage a 15 year old as well as those at the other end of the spectrum (very old!!). He is clearly very knowledgeable about the Ypres Salient but then so are books and DVDs; it is his emotional involvement in the subject that makes a tour with him so rewarding. We have already recommended Rifleman Tours to all of our friends and are now planning our next tour. This tour is excellent in all ways. In 3 days, I learned so much about Ypres and WW1. I could not have covered so much ground, known where to start or where to go if trying to do this independently. Allison had thought of everything to make the tour comfortable and enjoyable even down to providing tea/coffee/nibbles on the coach, extra packs of tea/milk for the hotel and even packs of xxxxx xxxxxx (but I won’t spoil the surprise on those)! Tony’s knowledge of the war and battlefields is exceptional. He had researched to make the tour personal for individual members of the group. Truly, he is an exceptional guide! Thank you for a well organised tour of the Ypres Salient. At every stop you had a wealth of information to impart and always of interest, particularly the battle scenes and about individuals who had been buried in one of the many cemeteries we visited. I always thought the Great War was one of chaos but you were able to demonstrate, in spite of the enormous death and casualty rate, there was a structure behind it all, albeit totally different to today’s conflicts. In all a very moving experience and a pity such tours are not on the national school (and adults) curriculum. We have not been on any other battlefield tours, but we were certainly lucky with our choice. Tony and Allison have a very personal touch and the differing needs of our party were very well met. We ourselves wanted to visit the final resting place of our uncle, which was not at a cemetery on the official schedule, Nevertheless, Tony arranged for us to go there, and then gathered all the members of our group together while we laid the flower and cross we had brought from England. Others wanted to see where relatives had fought or died, or had their own final resting places to visit, and time was made for all. A special word should be said about our driver, Les, who had some very tiny roads to negotiate! He was friendly and helpful throughout the tour and we would welcome seeing him on any future visit. The organisation was really excellent, and from hotel to ferry to coach everything went smoothly. The refreshment stops were welcome, as we had very cold and windy weather, and between Allison’s hot chocolate and pastries and Tony’s tots of brandy or whisky, we felt very well looked after. Thank you. A big thank you to Allison and Tony for making a good weekend even better. Remarkable, unforgettable and emotional as well as educational. Just some of the words to explain the 2012 Ypres Armistice Tour. You’re both smashing people. Hi Tony and Allison. Roisín and Mairéad and I would like to thank you both, most sincerely, for the unforgettable experience which was our WW1 Battlefields tour. It was most kind of you to collect us from the airport and drive us to our hotel. Tony, your knowledge of events and locations involved was inspirational. Your obvious enthusiasm was infectious and you were able to stimulate our minds and hearts to participate in this wonderful experience. Alison, your attention to detail and to ensuring the comfort of the group added so much to the enjoyment of the tour – and this was not just the coffee, tea, whiskey and brandy – and the chocolate biscuits! Your insistence that comfort breaks were essential was much appreciated! Roisín and Mairéad would like to say a special thank you for the respect shown to their grandfather by Rifleman Tours and the group as a whole. What a great group they were! We really enjoyed their company. We will always remember this tour – the pomp and ceremony of the Armistice celebrations, the emotion and poignancy of the wreath-laying in Kemmel Chateau and the warmth and comradeship of the group as a whole. Once again, thank you for a truly wonderful experience. Hello Tony and Allison, Just wanted to send you my own word of thanks, as well as Kevin and Roisin’s, for a memorable and poignant tour of the WW1 Battlefields last weekend. I was deeply touched that you used the term “pilgrimage” when you introduced us to each other on the bus. That’s what it was for us, so much more than a journey or a tour, culminating in a most emotional wreath-laying at our grand-father’s grave supported so respectfully by you both and our companions. Your incredible knowledge of the battles on Flanders fields made me feel that they had happened only recently instead of nearly 100 years ago. We had a wonderful time at the concert on Sunday and attended the Last Post ceremony every evening. The hotel was very comfortable and breakfast plentiful and enjoyable. We also had the most delicious dinners in different restaurants each evening. Once again, your deep knowledge of WW1 contributed to the group’s understanding of the cataclysmic events of the time and your profound final summation and exhultation in Poperinghe Cemetery to “remember them” will not easily be forgotten. Thank you both and until the next time…. Dear Tony and Allison, Many thanks for a great trip. You both went the extra mile for us all. Your grasp of that whole situation made it more clear just what had gone on. I am very glad I made the trip so many thanks again and best of luck with future tours. 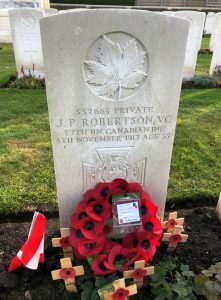 I must also commend them [Rifleman tours] on the dedication and passion to your trade, everything is considered from detailed knowledge at individual sites to the laying of a wreath at the Canadian Cemetery. It was a truly emotional journey. Again we express our most heartfelt thanks for a job well done, I’m sure there will be some that will take there memories with them for years to come and others that feel a sense of belonging to Canada as did the French resistance fighter with his Canadian family of soldiers. 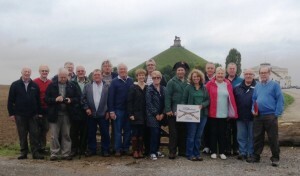 The London Branch has for the last twelve years participated in a Battlefield Tour long weekend. 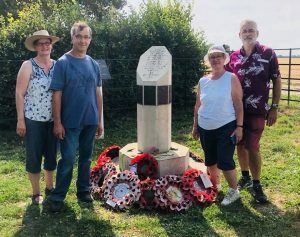 Although this year it was decided to have a Battlefield Tour in France, it was decided to visit a number of sites which members had expressed an interest in visiting which were outside the normal scope of previous tours. Our requirements included a visit to the Wellington Tunnels in Arras and a detailed visit to the Somme including some locations that required detailed ground description by a knowledgeable tour guide. We also required to secure a place at the Menin Gate wreath-laying ceremony. It was obvious that this fell outside the scope of our Branch Committee and we therefore decided to seek a professional tour guide company, which could accommodate our needs. We contacted Rifleman Tours. I can state that without doubt that our tour with Rifleman Tours was a tremendous success and fulfilled our expectations. The arrangements were excellent and the attention to detail in ensuring the requirements of the Branch were met could not be faulted. An excellent coach fulfilled our transport requirements over the four days, the hotel selected was above expectations and well situated in the centre of Ypres with an understanding owner. The arranged tours and visits to certain sites that were time critical posed no problem with guides in place and on time. Midday lunch locations ensured that they appeared on route that meant no loss of time was incurred. Finally we must thank our Tour Manager, Allison who managed to shepherd the Branch for the whole tour and as an added bonus provided coffee, tea and alcoholic substances at roadside stops proved to a welcomed unexpected bonus. We certainly in the future will not hesitate in using Rifleman Tours again. Many thanks for a great tour. 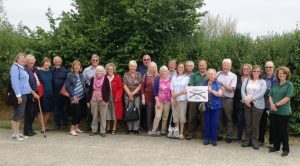 Dear Tony and Allison, Following our recent tour of Normandy and the D-Day beaches with Rifleman Tours, we all want to thank you both for accommodating our needs so well. 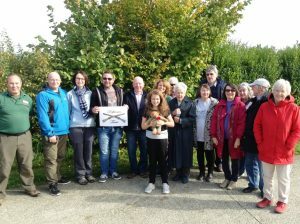 As members of the Royal Green Jackets Association (Milton Keynes Branch), the Normandy area holds particular relevance to us and you tailored the tour to include specific areas of interest, including laying wreaths at the bust of Major John Howard, on the original Pegasus Bridge and at the grave of Lt Den Brotheridge in Ranville. 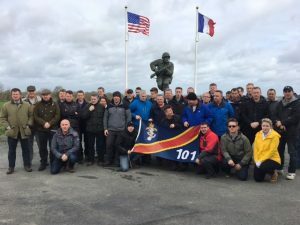 Your knowledge of the area is second to none and both members and their partners came away with a deeper insight of those first hours of D-Day. Dear Tony & Allison, We wanted to thank you both once again for the most fantastic weekend. We enjoyed every minute of the tour and have a much better understanding of the Somme thanks to Iain your guide and also yourself Tony. I was so very pleased to be able to lay a wreath at my great uncles grave, although I didn’t know him I found the whole experience very moving, especially when you did the exultation. Ian your driver was great fun and it was nice he joined in with everything and came around all the sites with us. And Allison, always there with a lovely smile and her goody basket and tea and coffee. You really did take care of us all. We would like to wish you all the very best for the future, with love and thanks. Dear Tony and Allison, Thank you for a marvellous four days. It was a good choice of Hotel, the breakfast was good, room comfortable and the Staff friendly. Iain was a knowledgeable and passionate guide and I admire his enthusiasm for La Boiselle. The driver took us safely and comfortably where we had to go, so all in all a lovely weekend. I will see you both again sometime. Dear Tony and Allison, Just to say a heartfelt thank you for a very special tour with a great bunch of people and a brilliant Guide and assistant (Allison). 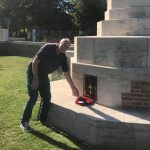 The personal touch by both you and Allison was much appreciated, especially the visit to Nine Elms Cemetery to lay a wreath at my Grandfather’s Grave and also the priviledge of laying another wreath at The Menin Gate Last Post Ceremony. The accommodation, the driver, and all the other little extras (tea, coffee, cakes, brandy etc) all were first class and appreciated. To anyone thinking of going on a Battlefield Tour we would highly recommend Rifleman Tours. Thanks once again for a brilliant tour. Dear Tony and Ali, Bob and I felt we must drop you a quick email to thank you both so much for our trip to The World War 1 Battlefields last weekend. We found the whole experience most enjoyable and informative. Bob had some comprehension from reading books, but Tony your enthusiasm and knowledge for the subject was most impressive. The Hotel in Ypres was perfect and your hospitality outstanding. It was more like a family outing than an organized tour, and this is what made the whole experience so special. Good luck to you both…………….you could very well be taking us to Normandy in the future!! 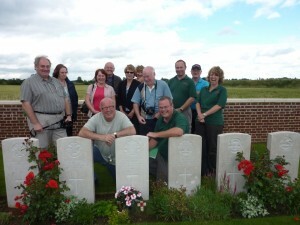 I greatly enjoyed the Ypres and Somme Tour in June 2012. Tony Eden is very knowledgeable about The Western Front and conveyed his enthusiasm for the subject. His discourses at the battle sites gave us all the necessary historical facts but also included personal stories which made the subject come alive. Tony is no dry historian; his empathy with the soldiers was plain to see. All the practical arrangements of the tour were managed faultlessly and Allison Eden was a delightful hostess, ensuring that we were well cared for. I can thoroughly recommend Rifleman Tours. Dear Tony and Alison, we just had to say thank you for an incredible trip to Ypres and the Somme. The whole tour was so well organised and Tony is able to explain things with such passion and knowledge. We look forward to joining you on a tour of Normandy next year. Once again many thanks. Peter and Fran Hole PS. I was disappointed that my brother could not come up with a question that stumped you! Dear Tony & Allison, I got home late on Monday night but it wasn’t until Tuesday morning when my wife asked me about the trip that I realised how emotional it was. I found it difficult to describe how moving the experience had been and couldn’t describe adequately the sheer enormity of the sacrifice. Thank you for a memorable, informative and very interesting trip. Your detailed knowledge helped me to understand and appreciate the scale of the events in those awful four years more than reading any number of books could do. Dear Tony and Alison, I would like to thank you most sincerely for a wonderful and interesting tour. The travel arrangements and accommodation was excellent and every detail was attended to so that the whole trip was extremely enjoyable. I found Tony so well informed and so knowledgeable that he truly brought the First World War to life so that we could imagine what the lives of the soldiers were like even though we passed through such beautiful countryside. I can’t thank you enough for the whole experience and I would recommend Rifleman Tours for anyone thinking of seeing the Battlefields. Dear Tony and Allison, Just wanted to say thank you for a great tour to Ypres. We really enjoyed everything about it. It was all arranged so well. The coffee and tea and chocolate biscuits most welcome and the brandy a nice touch. Hope Nigel arranges another trip, we’ll look forward to that. Congratulations and thanks to your company for putting together such a very well planned tour. From pick up through to finish you and your team made the tour so interesting, varied and pleasant also the nice touches provided on board coach. The hotel location and accommodation was superb. Our tour guide was very knowledgeable and helpful. Thanks for your help in locating June’s Grandfather’s grave in Etaples Military Cemetery. Anyone considering a Battlefield tour, I would recommend Rifleman Tours. Hi to both Tony and Allison. This is to let you know that we arrived home safely. We both want to thank you again for looking after us so well; we felt very comfortable and we hope that Rifleman Tours continues to prosper. I, Isabelle, have had difficulty coming up with a word or words to describe what the experience was like but the English language has failed me. The best I can do is say that the experience is one that I will remember and cherish for the rest of my days . The last head stone that I happened to read at Etaples was for a member of my father’s battalion – it seemed a fitting end of the tour for me Thanks again and good luck. How would I rate the battlefield guide? The best encountered so far. How would I rate the overall experience of the tour? Amongst the best encountered since I started in 1983. Thank you both for the Rifleman Tour experience and looking forward to seeing you again. The most unforgettable WW1 experience imagineable. It takes our history of nearly a century ago and makes it real and live. The organisation of this tour is exceptional and the tour manager, tour driver and the tour guide were so impressive it’s hard to find the words to express it. The route for each day has been thought out with precision and intelligence so that all those present get a coherent account of events in Ypres and the Somme and a memorable time to pay their respects in so many different places and ways. Each person on the tour is treated individually with their personal wishes and tribute hopes and dreams fully met. Everyone on the tour became friends and were genuinely sorry to say ‘goodbye’ at the end. The small numbers involved and the personal service made us feel like invited, welcome guests rather than a group of tourists. The contact pre the tour was first class in making arrangemnets, sending itineraries etc. Hard copy handouts were given as there was so much to take in that they will serve as a permanent reminder. We cannot recommend this tour more highly for anyone who even has just a slight interest in WW1. It fired everyone’s imagination and was so moving in so many ways. The hotel used is very, very nice with friendly staff and a gorgeous breakfast. The walk to the Menin Gate takes just a few minutes. Ypres itself is lovely and a credit to those who redesigned it and rebuilt it. We cannot thank Tony Eden and Rifleman Tours enough for giving us so much for comparatively so little financial cost. They not only go the extra mile they go more extra miles than you can count. After the tour Tony continues to provide additional information especially about family members who fought. We now count Tony as a friend. Not only would we like to join him on the WW2 tour but would like in time to do this tour again. Our enthusiasm has now inspired two friends who haven’t done a tour and would like to join us and I’m sure there will be more. An incredibly moving, emotional and yet enjoyable trip. A real privilege to walk amongst the graves of so many brave men. To see a relative, Lt Q D Bell on the Menin Gate. A totally unforgettable experience made all the more intimate and special by Rifleman Tours. What sort of person goes on a battlefield tour? There can be many reasons, from a pure history aspect, to visit an area a relative died, or like me to find out more. To be frank, I knew very little about the First World War but I was eager to learn. Rifleman Tours was the perfect vehicle for that experience. Our small group contained a varied mix of people all with one thing in common to learn more; we weren’t disappointed. Based in the town of Ypres we were in the centre of the historical action covering many areas in the Ypres salient our guide would take us through those events with knowledge understanding and personal stories. A trip further afield to the well known battle area of The Somme was also an inspiration. The Lochnagar Crater just took my breath away, to walk up the Sunken Lane which had been seen on Geoffrey Malins’ film of the 1st Lancs Fusiliers waiting to go into action on that fateful July day in 1916, was quite moving. The coverage was comprehensive but there was always time to stop take it all in take photos and question a very approachable guide. Rifleman Tours made sure everyone was part of the historical adventure and for me it was all over far too quickly and I have now bought some books relating to the First World War so that my knowledge gathering can continue. Rifleman Tours should be your first choice. 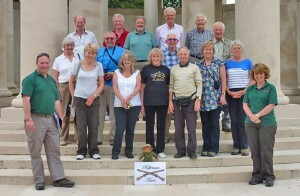 Thank you for the wonderful time we had on our Rifleman Tour, a first class experience from start to finish. It was a very well organised trip with fantastic hotel, meals, leaders and a very knowledgeable guide. We thoroughly enjoyed every aspect of this trip and will be recommending it to others. We hope you enjoyed it as much as we did! Thank you both for a fantastic weekend of history, facts figures, mud and good company; some of the nicest people I have ever travelled with. Look forward to the next tour! The tour guide was wonderful; I especially liked that he was willing to do further investigations for us that went beyond my expectations. If ever I am back in Europe, I will definitely want to do a tour with you again. Thank you for being so kind and helpful. An excellent well organised tour, visiting a variety of sites of interest to the World War One enthusiast and beginner alike. The experienced, specialist tour guide who accompanied us added considerably to the enjoyment of the tour with his detailed knowledge and enthusiasm for the subject. I would thoroughly recommend Rifleman Tours to anyone interested in touring the Battlefields.